100% of the proceeds fund the cause. Every pair has unique GPS coordinates, your link to a specific island and progress towards its protection. 100 sunglasses sold supports the protection of one island from marine plastic pollution, for one year. Launching exclusively at Net-a-Porter in editions of 100 pairs. Solid color, white. Crafted in Italy. The edition funds the protection of 1 island in the Maldives. You will be the first to know when the sales of the Clean Waves 'White Flag' frames start. The purchase supports the protection of one island in the Maldives against marine plastic pollution. Thank you for joining the waitlist! We’ll get back to you shortly. Multicolor, beige and white. Crafted in Italy. The edition funds the protection of 1 island near Bali. You will be the first to know when the sales of the Clean Waves 'Coral Sand' frames start. The purchase supports the protection of one island near Bali against marine plastic pollution. Multicolor, khaki, black and white. Crafted in Italy. The edition funds the protection of 1 island in Palau. 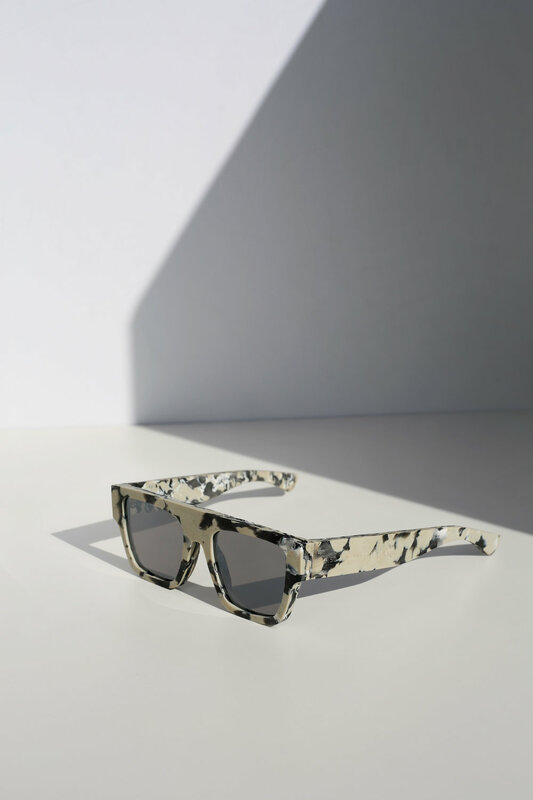 You will be the first to know when the sales of the Clean Waves 'Reef Camo' frames start. The purchase supports the protection of one island in Palau against marine plastic pollution. Created with Ocean Plastic®, upcycled plastic debris collected on islands, coastal communities, beaches and oceans.